The summer is the perfect time to relax, go on vacation and to tackle that never-ending to-do list. It is also a time to ENRICH and/or CULTIVATE the language you so love and teach. 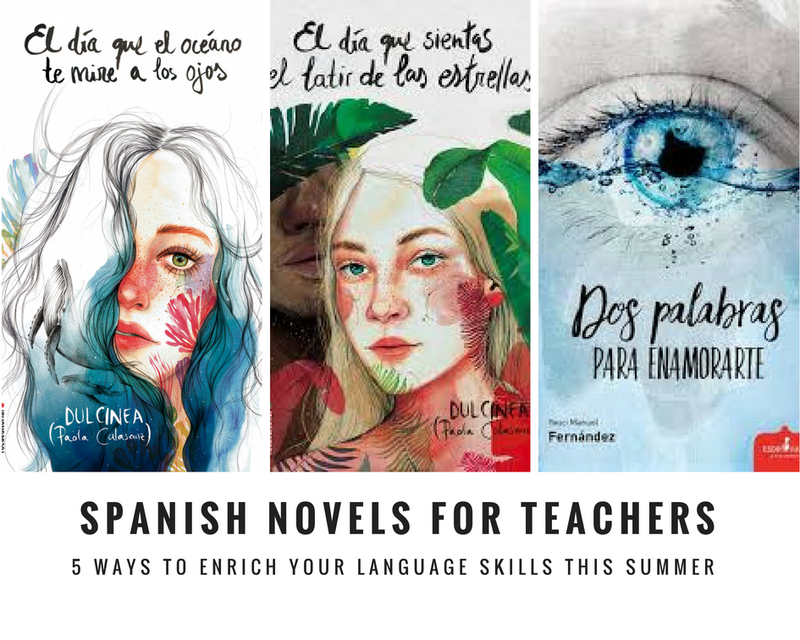 This post is geared toward non-native speakers and teachers of a World Language who are looking for ideas to keep their language skills sharp during the lazy hazy days of summer. In the last few years, there has been an explosion of Foreign Language Films. My father-in-law, my go-to person for Netflix series, has even started watching Turkish movies and soap operas; he loves them! 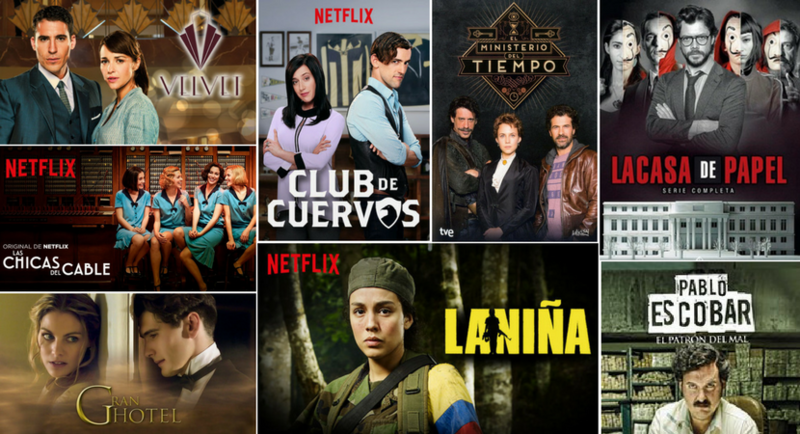 Netflix has a lot to offer for those who speak and understand Spanish and French. Misclasseslocas.com and aventurasnuevas.wordpress.com have made some bonafide suggestions over the past year. Similar to how and why we provide comprehensible input to students, watching shows or listening to the language continually during the summer months "attunes" your ear, helps you to stay in the language, and to stay motivated. Once school starts back, you'll have "menos lagunas mentales" and will be ready to jump back into the swing of things, and provide your students a rich aural experience! I really like this show because the cast is so diverse! 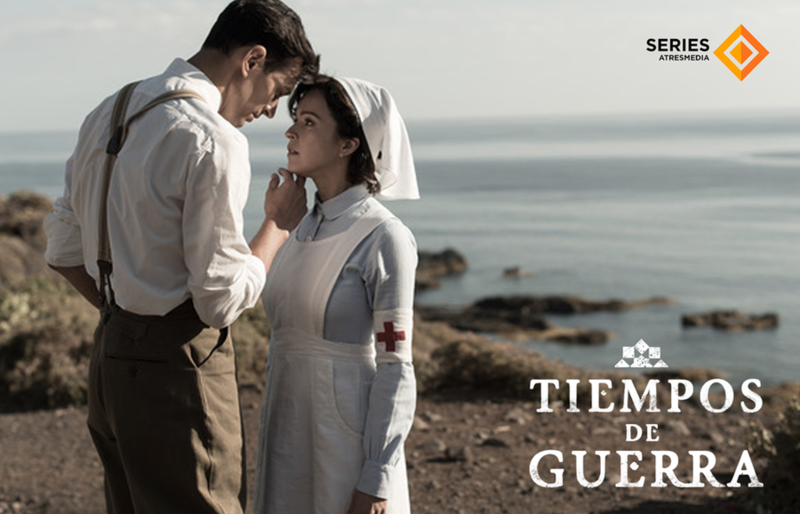 I am also a big fan of " Tiempos de Guerra". I am so desiring the second season! In addition to watching movies, there are other things you can do to keep your language skills well-polished. 2. Watch Youtube Videos on topics with which you are both familiar and interested. When strangers find out that I am a Spanish teacher, they immediately confess how they've always wanted to learn Spanish as a second language. Then they ask the million dollar question: What is the best way to learn a language? They then begin to list off all the programs they've tried such as Duolingo, Rosetta Stone, etc. They feel compelled to tell me their life's story about how they've been learning Spanish for decades or took years of it in school, only to be able to muster up a few words. My advice is always the same: Start with what you love! If you love knitting, find videos on knitting, learn some of the specialized vocabulary, and follow prominent knitters on Social Media. You will not only learn vocabulary incidentally, the way it works in a CI classroom, but you will find yourself doing something that you so enjoy! These last few years, I have taken a very keen interest in writing (hence my Language Learner CI Novels). But lately, I started relying less on my storytelling skills and more on honing the techniques of seasoned writers and some famous "Literary" Youtubbers. I have checked out several videos (posted below) that have enabled me to communicate better with writers that I meet on Social Media. Not only have I learned meaningful techniques on outlining or "Esquematizando" my stories, but I have also added new "writing" jargon to my Spanish lexicon. I am also passionate about aliens, bioethics, philosophy, the Bible, Apologetics, and cloning (all of which we explore in Spanish IV), so I am always looking for novel perspectives on these topics. Subscribing to online magazines is another way to prevent your language skills from atrophying during those summer months. Twitter is a great place to find daily inspirations for your interests. Below are two of my favorite organizations to follow on Twitter. I get little snippets of psychology articles, studies, or quotes that keep the target language at the forefront of my mind. They are also topics with which I love to debate with my father-in-law, that keeps me on my toes as well. I am always surprising him with new words! I also love going to Target or Hispanic grocery store to stockpile print magazines. We have a store near my house called "La única" and they sell my favorite magazine of all times: Muy Interestante. If you don't have the luxury of living near a store that sells Spanish-language magazines, check out Zinio.com as they have quite a selection of Spanish-speaking publications. 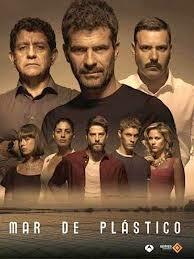 Todos somos sospechosos - Is a program dedicated to "La novela negra". 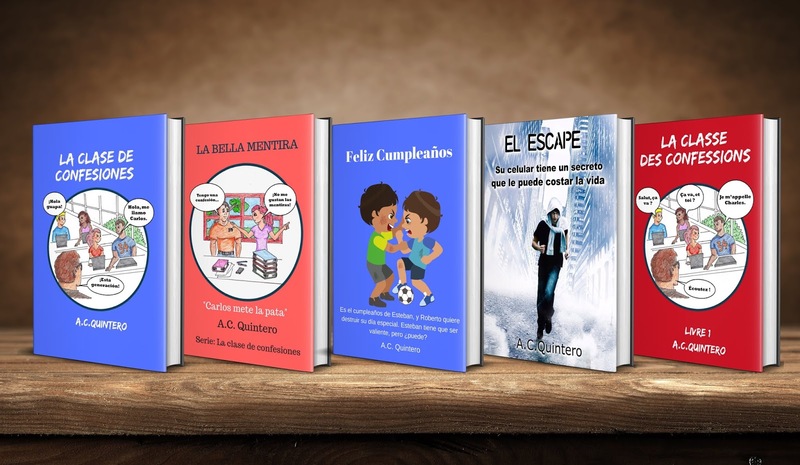 They talk about books, characters, and the "La novela Negra" genre on a whole. I have learned quite a bit about new authors, the genre, and of course, the jargon (although these are mostly English words to define phenomena). 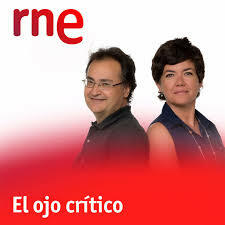 Best of all, the program's host is very engaging. El ojo crítico- Is an Arts and Culture podcast. 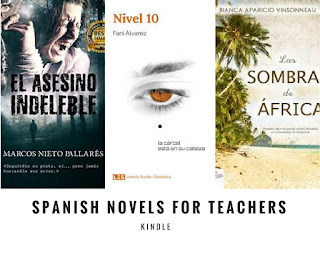 The themes are wide-ranging but include interviews with authors and episodes dedicated to the work of Classical Spanish Artists and Writers ( Picasso, Cervantes). 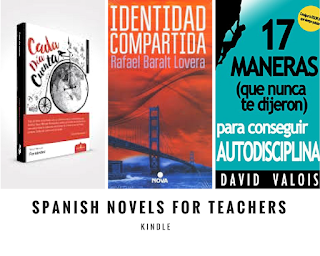 This may be an obvious step, but recently I just realized the plethora of Kindle books le available in Spanish. I have three authors whose books I am crazy about, and they are all on Kindle! Dulcinea, Yauci Manuel Fernández, and Marcos Nieto Pallarés. They all have very different styles. 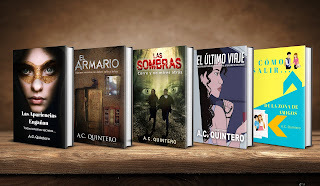 Dulcinea's writing style is very contemporary, immediate, she makes you feel part of the action, and has a way of pulling you into the drama. 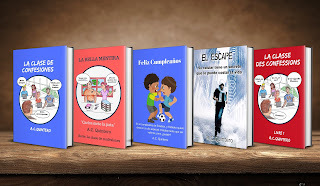 Her book "El día que el océano te mire a los ojos" is a gripping account about a girl who has a terminal diagnosis, a cheating boyfriend (all on the back of the book's jacket), whose life takes a sudden turn. I discovered in " El Corte Inglés" in Madrid, and am so happy that she is on Kindle! I recommend her books! I also like Yauci Manuel Fernández. He authored "Cada día cuenta" and "Dos palabras para enamorarte". I read his first book and am making my way through the second one. I have opted to read his book rather than watch my favorite telenovela "Amar es para siempre". His writing is reminiscent of Paulo Coehlo's themes, as his books center on the human journey in life, priorities, decisions, and living through past hurts. Good stuff! 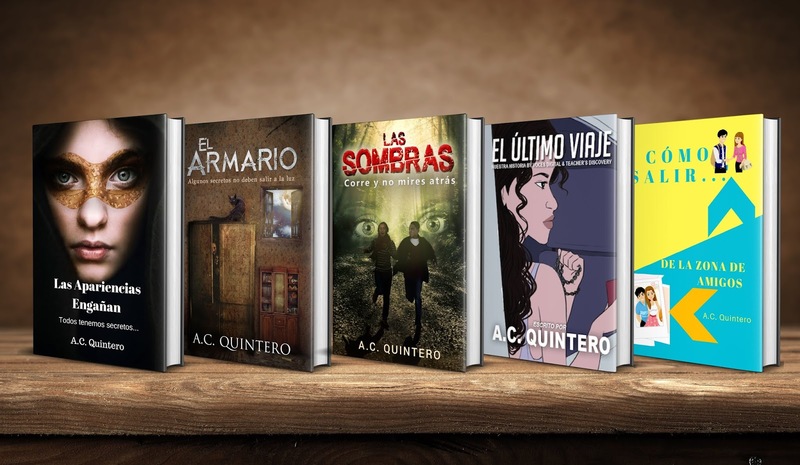 "El asesino indeleble" a suspenseful read. I bought it on Kindle a few months ago, and I could not put it down. It is so entralling. I love the characterization and the dialogue. If you like crime mysteries, I'd recommend this! 6. Find Opportunities to Speak the Language (I know I said 5, but this one is important as well!). 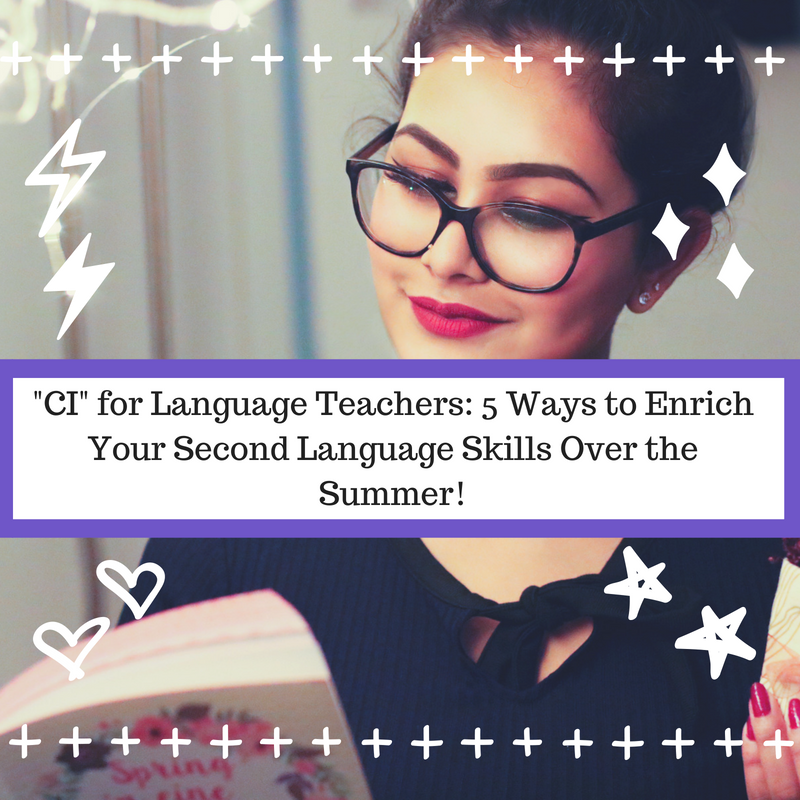 Make the extra effort to speak the language during the summer months, even if you speak the language at home. Although I speak Spanish very regularly with my husband and his family, and my friends, I go out of my way to experience the language in new ways. Last summer I joined a book club. We read one book a month and then meet up to discuss them. In the group were Spanish-speaking people from all over. I remember learning "Ándate a la punta de un cuerno" from one of the Ecuadorian women in the group. We'd discuss different ways of saying things, our cultures and so forth. I hope these tips were helpful. What are ways you keep up with the language during the summer months? Please comment below!